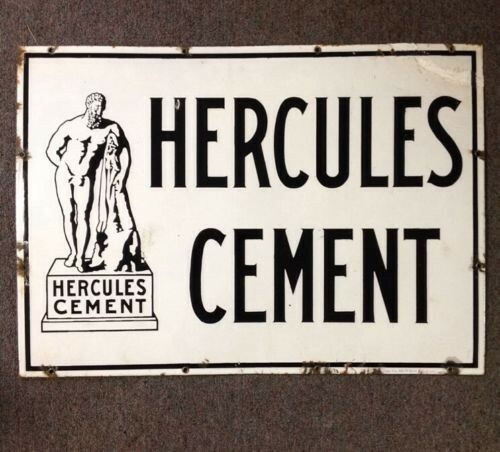 This black and white Hercules Cement sign measures 28″ by 20″. The sign has a black boarder and mounting holes all around the edges. The sign has Hercules standing to the left of the sign.